Imogen's Typewriter. 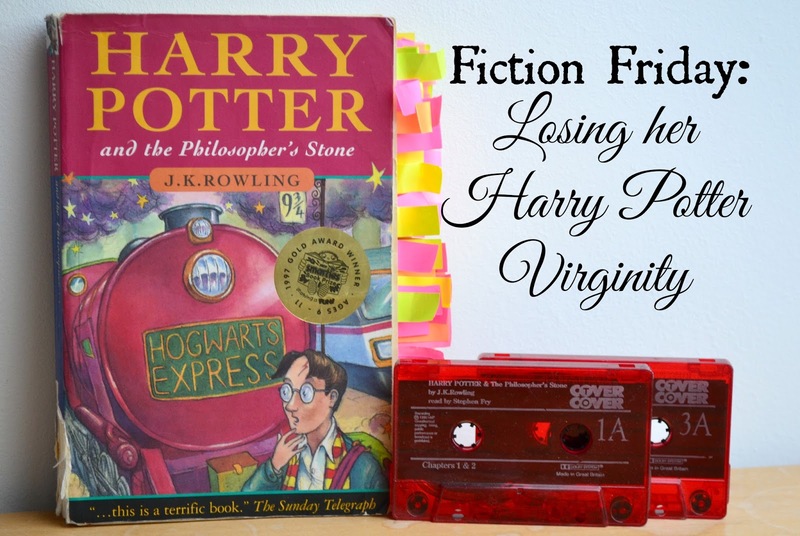 : Fiction Friday: Losing her Harry Potter Virginity! Fiction Friday: Losing her Harry Potter Virginity! Excuse the rather vulgar title but it really was the only way to explain what this blog post was about. The 'her' in question is my friend Shi who is currently giggling in a Skype call over said title. A couple of months ago we got to talking and I discovered that my amazing friend had never read Harry Potter, and yes, it was nearly the end of our four year friendship. But she accepted to listen/read Harry Potter with me and with our books in our hands, the Stephen Fry audiobooks on our iTunes and unreliable Skype calls- we were ready. "I feel good, glad that I've finally actually started reading the books. I wanted to read them for a long time but I don't know what kept me from reading them- maybe I just needed a good partner to read them with. The writing was well done, apart from the fact that I had the American version of the books. Screaming out the American edits was fun. TRASHCAN. DUSTBIN. Motorbikes. I would rather have the British version of the book and not the American. I found it a lot more fun to read it with a partner because then you can talk to them and see if you have different opinions, favourite parts, specifics. My favourite part was probably the giant chess match, it's hard to describe but the idea of huge chess pieces- it's amazing to imagine in your head. Comparing the characters to the movie they all matched really well except Ron. I can't wait to start the next book." Have you ever found out that a friend has never read something so well known? How did you react? Beauty Review: Sephora ‘Tie-Dye’ Top Coat! Fiction Friday: The Reading Habits Tag! Fiction Friday: Books I Read in June! Beauty Review: Sephora Express Drying Oil!